The Cambodia Rice Federation (CRF) last week met with trade representatives in Brussels to express its concern over the possibility that the European Union might impose tariffs on Cambodian rice exports. The association joined its voice to those of Amru Rice and Signatures of Asia, local rice exporters who last month sent letters to the EU to express dissatisfaction with the potential levies. On a statement issued on Friday, the rice association said that, following a hearing in Brussels at the Directorate General for Trade (DG Trade) of the European Commission, CRF asked representatives of the European bloc to reject the activation of the safeguard clause that would enable the imposition of tariffs. 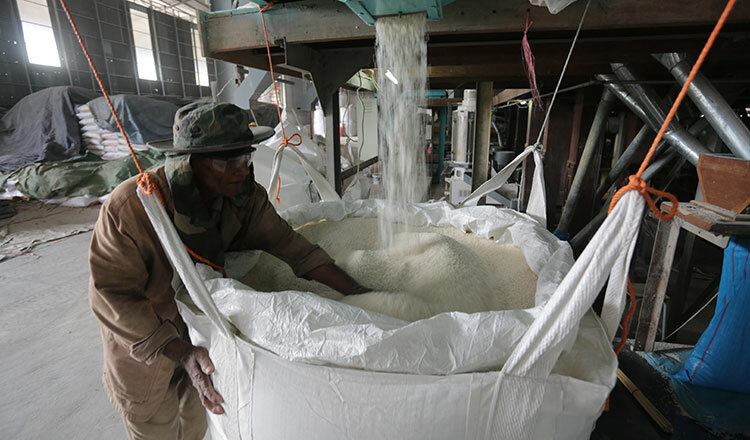 It said it very concerned about the potential damage the levies will have on Cambodia’s three million rice farmers and in the country’s rice industry as a whole. Tomorrow EU member states will vote on whether to support or reject the European Commission’s plans to charge tariffs on Cambodian rice exports, with DG Trade due to take a final decision on the matter that day. The vote follows requests by Italy and Spain, among other EU countries, to protect their rice growers against what they describe as trade imbalances. In March, the European Commission launched an investigation to determine whether imports of semi-milled and milled Indica rice from Cambodia and Myanmar were “causing serious difficulties to European Union producers of like or competing products”. Then on Nov 5, DG Trade published its findings, confirming a significant surge of rice imports from Cambodia and Myanmar that, it concluded, has caused economic damage to the rice sector in Europe. In its statement, however, CRF said the tariffs would be a major setback to enormous efforts to build up the rice industry in Cambodia and assist Cambodian farmers in finding a better livelihood. CRF believes millions of Cambodian farmers would be negatively impacted by the decision, which would devastate the industry. The origin of the issue raised by Italy and Spain in internal, and Cambodian exports should not be blamed, CRF said. “The EU has combined Cambodian import figures with those of Myanmar. This is not the right approach since both countries export different types of rice, with Cambodia focusing on fragrant and premium Jasmine rice. There is also a big price difference between Cambodian and Burmese rice. This combination of factors leads to results that are biased,” it said. CRF stressed in the statement that rice production in Italy and Spain is centred predominantly on the variety known as ‘Japonica’. “In fact, the majority of Cambodian rice (55 percent) exported to the EU is fragrant rice, which we understand is not currently grown in Europe. 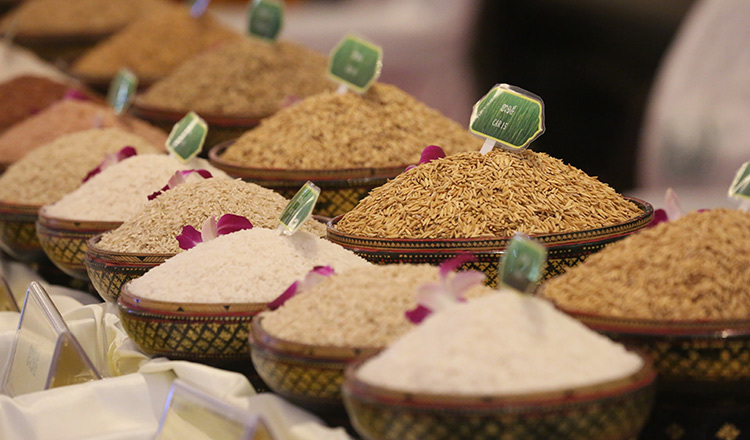 Fragrant rice is from photo sensitive rice paddy, which can only bear fruit during a certain time of year and is difficult to grow in the climate found in Europe,” CRF said. Given the potential damage the tariffs could cause Cambodian farmers and the Kingdom’s fledgling rice sector, the measures will go against the spirit of EU efforts to foster development in the country, CRF said. Some of the most palpable consequences would be diminished food security for Cambodian smallholder famers and labour outflows in the sector, according to the federation. Activating the safeguard clause could push some farmers’ incomes below the poverty line, affecting their children’s schooling and nutrition, CRF said. CRF secretary-general Moul Sarith told Khmer Times that now all they can do is wait for Dec 4’s decision. “We have no idea what the result will be, but we have been working hard to explain this issue to the EU,” Mr Sarith said. “Besides sending the letter, we have also arranged talks with a number of EU officials, particularly from Germany, France and England,” he said. Long Kemvichet, Commerce Ministry spokesman, said the government has put together a team of legal experts to argue the case with EU representatives. “There have been several missions already on this case. The government and the private sector have collaborated to produce documents and those documents have already been submitted to the EU. “Fragrant rice is not produced by the countries who proposed the activation of the safeguard clause, therefore there is a good chance that it won’t be affected. “At this stage, we can only wait and see,” Mr Kemvichet said.